If you're going to call it 'home' for eternity, don't you want to know what it's like? Our pictures of life in heaven cover the range from comical to curious, from mystical to fictitious—with maybe some biblical truth thrown in. For example: We know angels will be there. But thanks to TV, we think of them as being gorgeous, white-robed beings with enormous wings. We know we will be given new bodies, but books have convinced us that that means we will we end up with a set of wings ourselves. And cartoons, movies, and modern music have portrayed those who have gone to heaven as having full knowledge of what's happening to their loved ones on earth. But if heaven is in your future, a Hollywood scriptwriter's interpretation or some artist's rendering of it just won't do. You need to know the truth, which, ironically, is far better than anything our creative minds can imagine. The only One who knows the glorious truth about heaven is God. And the only place to find that truth is in His Word. 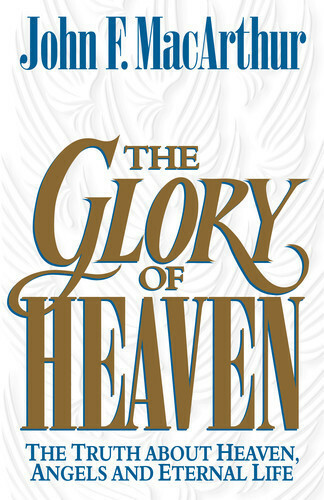 In this book, pastor John MacArthur takes you through those very Scriptures and opens your heart to the realities of heaven, angels, and eternal life. It's a joyous study of every Christian's future. A future that you can and should anticipate. Come along with this best-selling author for an in-depth look at where you'll spend eternity. Open up The Glory of Heaven and catch a glimpse of Home.